With MLB’s spring training in full swing, Super Mega Baseball: Extra Innings could not have picked a better time to launch onto Google Play. 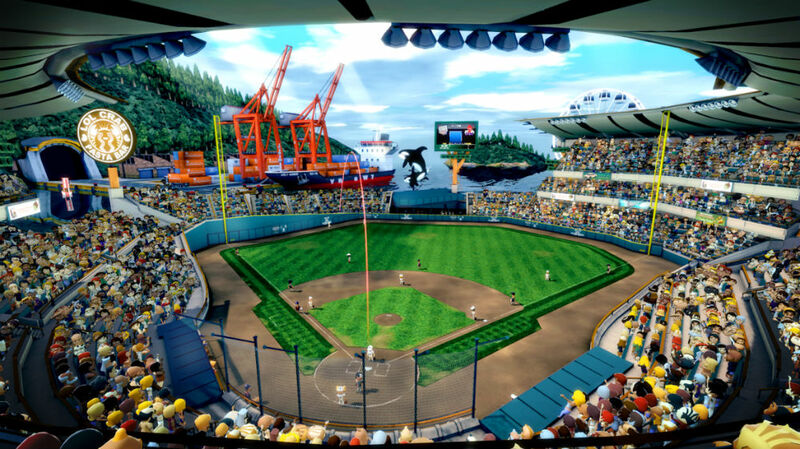 Made for use on the SHIELD boxes from NVIDIA, Super Mega Baseball brings a comprehensive, yet easy-to-learn baseball game system. If you care about things such as complete pitching and batting stats, while also getting the sense that you are playing a game made for the Nintendo Wii, this is the game for you. Once you fire this game up, you can choose between a few modes. The game does support multiplayer, so if you have an extra SHIELD Controller available, you and your buddy can go head-to-head, or play co-op on the same team against the CPU. In total, up to 4 players can play simultaneously. To get started, you will choose between a complete season (short, medium, long options available), or simply a one-game exhibition match. If a season is selected, you will go up against the league’s best, with all of your opponent teams going through simulations to work out the standings. As you progress in a season, you can unlock new gear for your players, new workouts to help them improve as players, and you can even fire your staff members. I’m serious, this game is extremely comprehensive. Thanks to an Ego Mode, which is code for the game’s difficulty, you can pinpoint exactly how comfortable you are at the game. If you want the opposing pitchers slowing down or not throwing as much junk, lower your ego. If you don’t mind having your pitches cranked out of the park consistently, then up your ego. Now, for all of this baseball action, Super Mega Baseball carries quite a price tag, listed at $20 on Google Play. While that certainly is steep, having tested the game myself for a couple of days, I can vouch for its awesomeness. If you really enjoy baseball, diving into stats and improving your players in almost RPG-like setting, it’s worth the price. Additionally, the performance and overall appearance of the game is quite enjoyable, with batters throwing their bats and even crying when you strike them out. So worth it. The game is available now on Google Play. Note: To help celebrate the launch of this title, NVIDIA is teaming up with Streamer House, as two residents will dual it out live on Twitch. If you are interested, NVIDIA will be giving away prizes including SHIELD Android TV sets, game codes, and more. The stream will begin tonight on NVIDIA’s Twitch channel here.